As a premier event in Metro Vancouver, KDocs celebrates the power of documentary film. Working in partnership with the Vancouver International Film Centre/Vancity Theatre, KDocs showcases award-winning documentary films, keynote speakers, filmmakers, panelists, exhibitors, and community members. Participants engage in lively discussion, debate, and dialogue as they investigate today's most pressing global issues. Building strong partnerships in and across KPU's many communities continues to be a foundational goal of KDocs--that is, to be a documentary film festival that is not just faculty-driven with narrow goals, but also student-, staff-, alumni-, and community-driven, with a global-facing, social justice education mission rooted in student engagement. We are extremely proud of the many connections and collaborations KDocs has initiated, built, and deepened, on campus and off. We look forward to further engaging with, and on behalf of, Kwantlen's many learners. We want to work with you through our Community Outreach Program! Would you like us to visit your school, community group, or organization to screen and discuss documentaries that interest your students? Hold workshops and facilitate town hall discussions? We will work with you to customize content for your class, department, or the entire school, all depending on your teaching and learning needs. The KDocs Outreach Program is free. Contact Greg Chan at greg.chan@kpu.ca for more information and to schedule a visit. Did you know that the fashion industry is one of the world's largest polluters, second only to the oil industry, and that 80 billion pieces of clothing are manufactured each year -- mostly by women earning less than $3 per day? 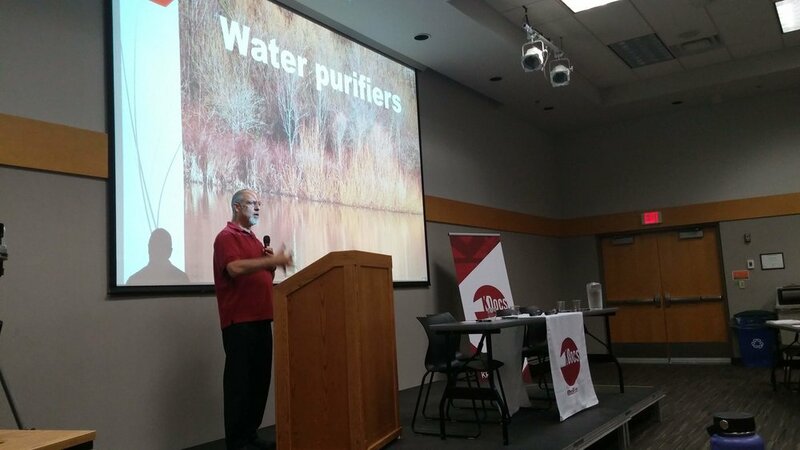 On March 4, 2019, KDocs Outreach partnered with the KSA to co-host a special ecoDAYS screening that put these facts into context. Andrew Morgan's The True Cost, a documentary about the fashion industry and sustainability, was screened in combination with opening remarks from Dr. Paul Richard, Chair of Environmental Protection, and a keynote address by Nabila Idris, Doctoral Student in Politics and International Studies, University of Cambridge. A panel discussion/Q&A session followed the screening of the documentary. Our panel included Mariana Carneiro, Fashion Designer; Irina McKenzie, FABCYCLE Founder and Frameworq Director; Dr. Paul Richard, Environmental Protection; and Wendy Schindler, Fourth-year Design Student, Wilson School of Design. 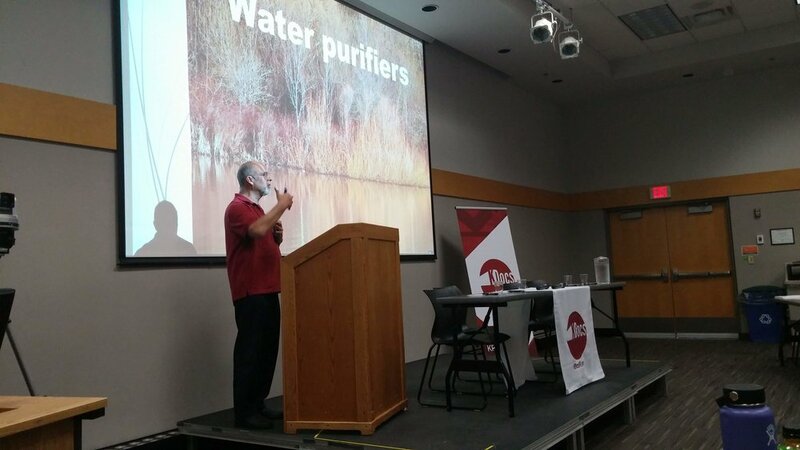 In celebration of its 30th anniversary, the Burns Bog Conservation Society held its first conference on October 11-13, 2018 at KPU. The three-day science conference included presentations, breakout sessions, a keynote by the University of Greifswald's Dr. Hans Joosten (Secretary-General of International Mire Conservation Group), and a capstone event hosted by KDocs: a special screening of Bryan Maltais's documentary, Metamorphosis: Tale of a Wetland, followed by a panel discussion. 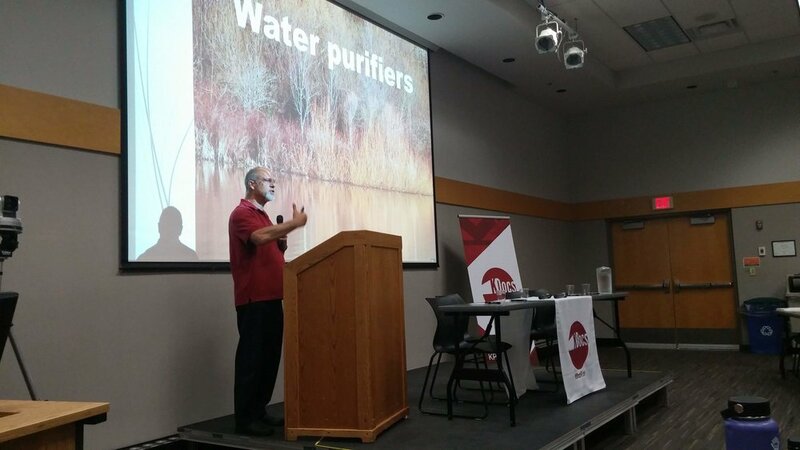 The panelists included Dr. Paul Richard (Environmental Protection), Lee Beavington (Biology), Shaina Carter (Horticulture alumnus), and Mark Robertson (Burns Bog Conservation Society). Filmmaker Bryan Maltais joined the conversation via Skype. KDocs Outreach was pleased to host this special event on behalf of the President's Office. In the summer of 2018, the Outreach videography team partnered with Surrey’s Phoenix Society to produce a documentary short on the Kwantlen Humanities 101 program it sponsors. Run by KPU English instructor Kegan Doyle, the program offers non-credit courses led by KPU faculty for community members struggling with addiction. Our Outreach team of Manon Boivin (producer) and Melissa Fraser (editor/student assistant) filmed a class meeting, interviewed instructors and students, and joined Humanities 101 for its graduation ceremony. The Outreach videography team collaborated with the English Department in the summer of 2018 to produce a promotional video on the First-Year English Writing Labs. A free service available to KPU students struggling with their academic writing, the labs operate as drop-in workshops run by English instructors Heather Cyr and Jennifer Williams. Outreach producer Manon Boivin and student assistant/editor Melissa Fraser were there to showcase the valuable work of the Writing Labs, filming a series of interviews with the instructors, peer tutors, and students. The KDocs Community Outreach team hosted a drop-in Movie Lounge as one of the campus-wide events to mark the International Day for the Elimination of Racial Discrimination. With a focus on race, racism, and calls to action, a series of antiracism documentaries were screened throughout the day. The event also included two informal workshops in between screenings: a Privilege Walk led by KDocs Community Outreach Facilitator Naveen Shums, and an art therapy/calligraphy session hosted by KDocs Community Outreach Specialist Tauheed Faheem. The KDocs Community Outreach team of Greg Chan and Naveen Zafar were invited to be guest speakers in Dr. Andre Elias Mazawi’s Educational Studies 565 seminar at UBC. Greg and Naveen engaged in a lively dialogue with Mazawi’s graduate students, who are studying documentary films and festivals, adult learning, and dialogic imagination, about the KDocs story/documentary activism. 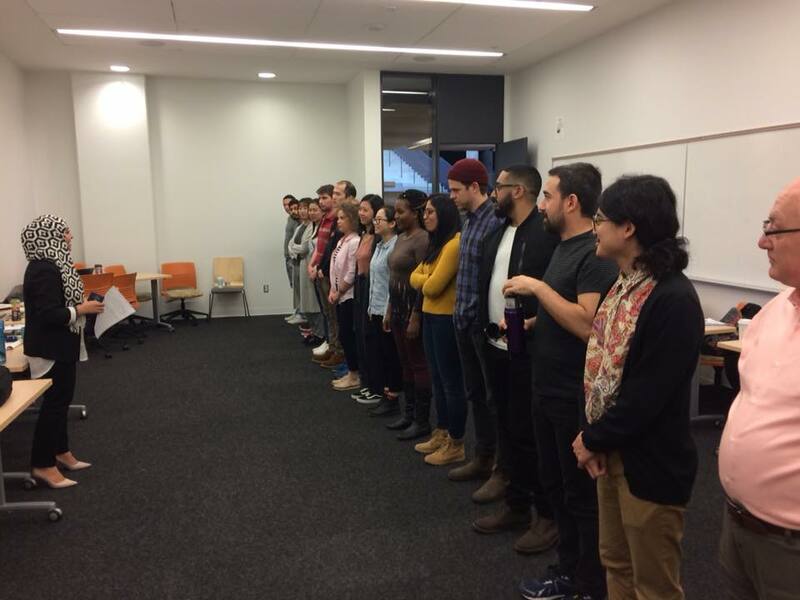 Their October 28, 2017, guest lecture included an interactive exercise, the “Privilege Walk”, followed by an overview of KDocs and its mandate, and a Q&A session. 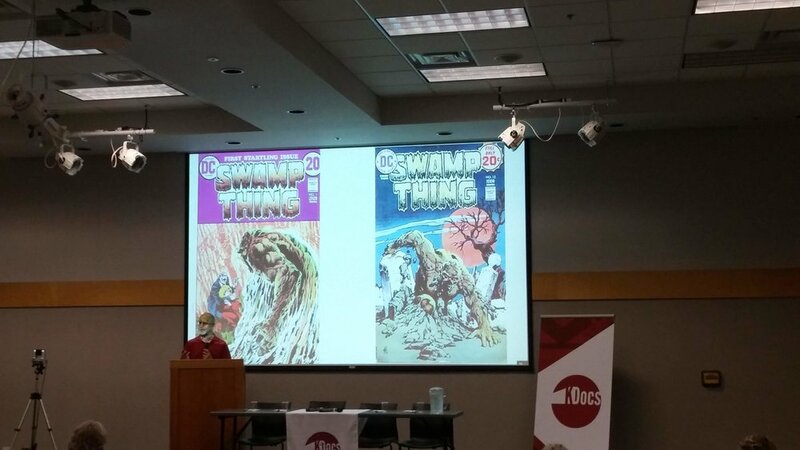 The class also discussed Mise-en-scene: The Journal of Film and Visual Narration, the film studies publication sponsored by KDocs. 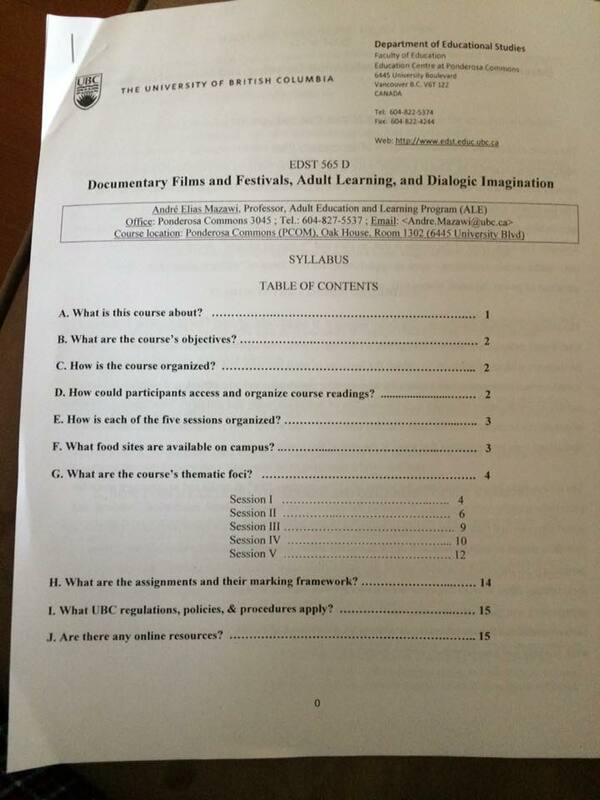 Furthering our collaboration with Dr. Mazawi and his students, they will be authoring an article on their study of documentary film as “scenes of address” for an upcoming issue of the journal. KDocs recently became a community partner—joining The Visual Media Workshop, The Surrey School District, Princess Margaret Secondary School, and KPU—with the DigitaLENS Club. Aiming to cultivate digital literacy in Surrey youth, DigitaLENS enlists digital storytellers to mentor Grades 8-12 high school students. These students participate in a series of workshops held after school at KPU, ultimately leading to the creation of a final project: a 2-5 minute movie that combines photographs, video, animation, sound, text, and often the voiceover of the filmmaker. By design, each movie challenges a stereotype about Surrey youth. On October 18, 2017, the KDocs Community Outreach Program team of Greg Chan and Manon Boivin hosted a half-day workshop for the DigitaLENS students on film studies (“How to Analyze a Film Scene”) and documentary filmmaking essentials (“Interviewing Skills”). The goal was to highlight the two sides of film: research-based and production-based. Greg and Manon also introduced the students to KDocs and documentaries as social justice activism. Now having a new set of narrative tools, the DigitaLENS storytellers are moving forward with their documentary shorts, which will be showcased on the Visual Media Workshop and KDocs websites; they will also have a special screening at KDocs 2018. KDocs Community Outreach is grateful to DigitaLENS Program Coordinator Aisha Amijee and the student storytellers for this opportunity to discover and share authentic stories of Surrey youth. On November 1, 2017, KDocs Community Outreach presented an "Interviewing Techniques" workshop at Langley Fine Arts Secondary School. The workshop was presented to Grade 11 and 12 students of Writing Major Kylie Mantei and Photography Major Donna Usher. Kylie and Donna co-teach a Journalism course that produces multimedia content for the school's online magazine, The Mix, a website where the students post interviews and videos about student life and explore their community through the lens: www.lfasmix.com. Every year a number of highly talented, well respected artists and speakers visit the school. The students are responsible for documenting and representing these special guests through video interviews, including cover footage of each event. In order to help the students improve their interviewing techniques and take their skills to the next level, Manon Boivin, KDocs Board Member and Documentary Film Producer/Director, was invited to facilitate the "Interviewing Techniques" workshop. She took the students through the different types of interviews and interviewing styles that professionals use in order to show them the available choices and options, such as how to prepare for an interview, how to prepare your guest, how to do camera set-ups when you are working with only one or up to three cameras, how to formulate and ask questions, and how to interact with your guest during an interview. Students engaged in a listening exercise in pairs, where one student asked a question and the other simply listened and maintained eye contact for 60 seconds. This seemingly easy task is always much harder than people realize, but critical when interviewing a guest. Listening, maintaining eye contact, and not interrupting are skills that must be learned and practiced. Interview editing techniques, such as bridging and condensing by using narration, word boards, cover footage, and camera work, were also discussed. Several videos were screened to reinforce some of these techniques. So much was covered in a short time, and the students were wonderful, very engaged, and interested, sharing their own ideas and asking great questions. Manon also received a special request to review and critique students' work in progress, including some of their interviews as well as mini-docs that students have been working on. On October 19, 2017, KDocs Community Outreach partnered once again with the Pathways Aboriginal Centre in Richmond. KDocs Board Member, Manon Boivin, facilitated a "Brainstorming Ideas" workshop with some of the Centre's youth, in collaboration with program coordinator Jelica Shaw. The goal was to help them come up with a theme for a short video they wanted to produce surrounding identity. With eagle feather in hand, Manon began the process by asking each youth to come up with one word that expressed what it meant to be a young aboriginal person, or a word that described what was on their mind. The feather was passed around many times, giving each youth who held it the floor and the time to speak uninterrupted. This process yielded several themes that were then merged and purged until a single theme presented itself to the group. Manon then guided the group in a discussion about visual possibilities, narration or voice-over options, and music. 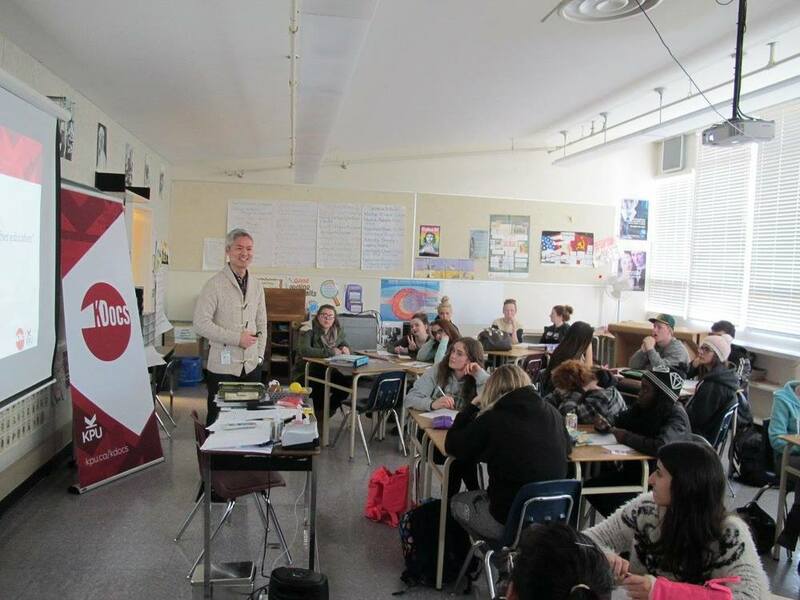 On December 1, 2016, KDocs Board Member Manon Boivin facilitated a KDocs Community Outreach workshop at Sands Secondary School in Delta, working with a Grade 8 Social Studies class. The students were studying religions of the world and were given an interesting assignment: interview members of the community who observe different religions. Manon presented a workshop on the three phases of video production (pre-production, production, and post-production), with a focus on interviewing techniques. The workshop was a success, and the students were great participants! As their practicum project, a group of fourth-year KPU English students worked with KDocs Community Outreach to create two community events. The first was a screening of Jennifer Siebel Newsom’s The Mask You Live In about hypermasculinity and the socialization of boys. Sponsored by KPIRG (Kwantlen Public Interest Research Group), the event included a performance of "Lost Boy Like Me" by rapping KPU English alumnus Calvin "Kalvonix" Tiu, a post-screening discussion forum, and breakout groups facilitated by the practicum students. The special guests of the evening were the youth from the Pathways Aboriginal Centre in Richmond. This special event took place on June 3, 2016 at the Melville Centre for Dialogue. The second event was an LGBTQ+ Pride Week screening of two CBC documentaries, Transforming Gender and How We Got Gay. A keynote address by Gerald Walton (Educational Studies faculty and author of The Gay Agenda) opened the evening; the screenings were followed by a panel discussion led by Walton, Tara Lyons (Criminology faculty), and Kari Michaels (KPU student and WOOW co-founder). Brandy Svendson (Co-founder and CEO, Be the Change) served as the event’s moderator. Practicum students Neil Bassan, James Hospedales, Amanda Lam, and Kelsey Oskam were responsible for selecting the documentaries, promoting the event, running social media, recruiting panelists and the keynote speaker, writing a grant application, coordinating set-up, and hosting the evening. This special event took place on July 28, 2016 in the Fir 128 Theatre. KDocs Partners with Delview Secondary for a "Legacy Project"
On June 21, 2016, Delview's History 12 class premiered seven original documentaries as the completed products of the Legacy Documentary Project. The process of bringing these stories to life took almost the entire semester from start to finish. Through the use of extensive interviews and supporting materials such as photos and video clips, each documentary highlights the experience of a person, familiar to our students, who survived a major historical event of the 20th century. In the last 100 plus years, our world has experienced and continues to experience great shifts in politics and governments. These shifts caused two world wars and countless revolutions and conflicts. Cumulatively, this resulted in the massive destruction of property, displacement of countless people, endless examples of human brutality, and the deaths of hundreds of millions of combatants and civilians. Despite this dire backdrop, the Legacy Documentaries share the common themes of resilience, hope, remembrance, and new beginnings. I believe the love and understanding of history are garnered by our connection with the experiences of the individual rather than the masses. History is most meaningful when we are able to connect to it intellectually and emotionally. I am proud of and humbled by every one of my students for their hard work, their commitment to giving voice to the stories of their subjects, and to being the conduits that help us make these connections. I would like to acknowledge and thank those who helped support this project: Manon Boivin and Greg Chan from KDocs, my colleague Noah Choy, and most importantly, the subjects of the documentaries for sharing their stories. 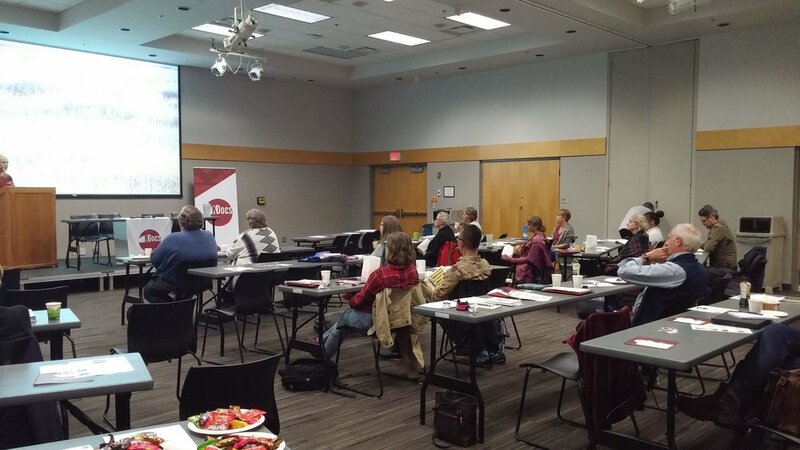 KDocs workshop & Delview screening of the "legacy Project"
The KDocs team is pleased to announce the launch of its Community Outreach Program in the fall of 2015. 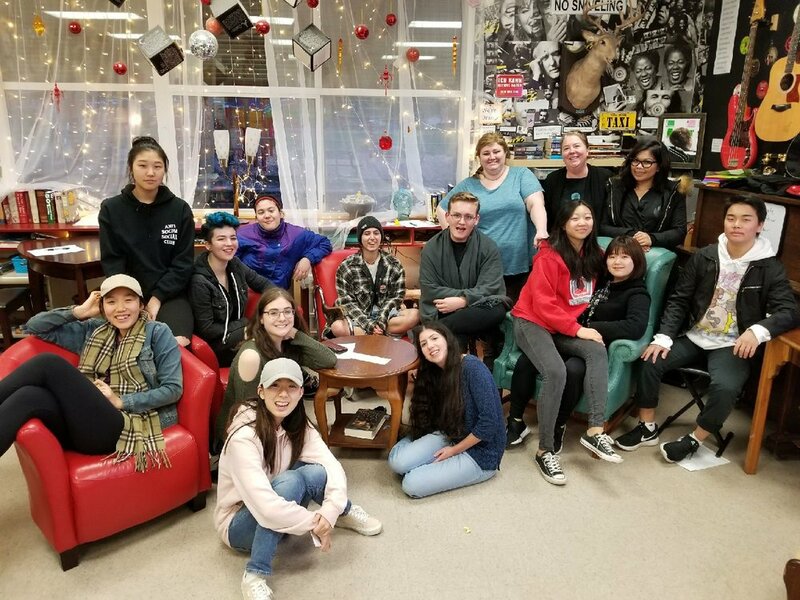 The goal of this initiative is to connect with students in the communities KPU serves--Richmond, Surrey, and Langley--by bringing a documentary and facilitated discussion to their high school classroom. The first Community Outreach workshop took the KDocs team of Janice Morris, Chris Traynor, and Greg Chan to Christa Barberis' Social Justice 12 class at Langley Secondary School, where we screened Andrew Rossi's Ivory Tower (2014) and led a discussion about the state of higher education in America. As a take-home assignment, the students made social media posts (via Facebook and Twitter) and short reaction videos to the day's social justice issue. We are looking forward to visiting more schools in 2016. When we first met Rachel Lee, she was an 11-year-old, Grade 5 student at Quilchena Elementary School in Richmond. At that time, Rachel was preparing to participate in her school’s “Evening of Eminence” event, where she would be showcasing her project on renowned Canadian author Margaret Atwood. When she read in a local newspaper that Ms. Atwood would KDocs's special guest and keynote speaker at our screening of Payback, the documentary adapted from Atwood’s Massey Lecture and book of the same name, Rachel wrote to us, hoping to attend and maybe, just maybe, meet Ms. Atwood. Not only did we invite Rachel and her dad, Edmund, to be our special Gold Circle guests, but also we arranged for them to meet Ms. Atwood for some one-on-one time before the show! To say that Rachel was prepared for her big interview is an understatement! She came with many of Atwood's books, interview questions, and camera in hand, and as a special treat, Rice Krispie squares (Ms. Atwood was most appreciative)! For 20 minutes, the soft-spoken but inquisitive Rachel held Ms. Atwood’s undivided attention, asking her about her childhood, education, and many publications, all the while Edmund snapped photos and recorded everything. Ms. Atwood could not have been more lovely, sharing her most personal bits of advice (one gem: when Rachel asked, “What is your advice for a working woman who has to travel a lot?”, Ms. Atwood responded, “Think pink, but pack black!”). As you can see, Rachel took these words to heart, and when she presented her project, she made sure to do just that—love the stylish Margaret Atwood wig, Rachel (good idea to colour it in with a Sharpie! ), and pink scarf (mimicking the one Atwood wore the night of the event). Not only did Rachel produce a fantastic visual and written project, but also she created a diorama of the farm that Ms. Atwood grew up on (something they spent quite a bit of time talking about—did you know that Ms. Atwood had a pet rat?). Thank you Rachel, for helping us to talk about Payback and for sharing your experiences with your community.